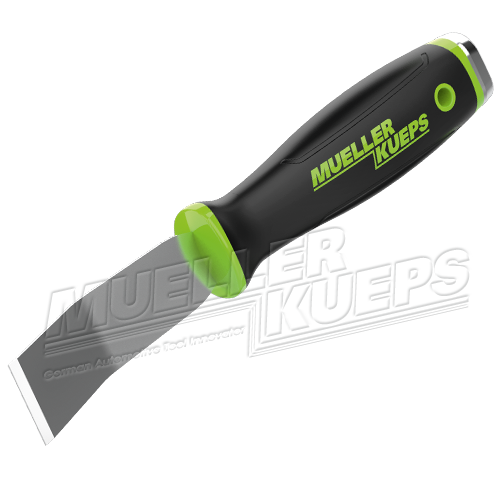 The stainless steel blade goes through the handle. 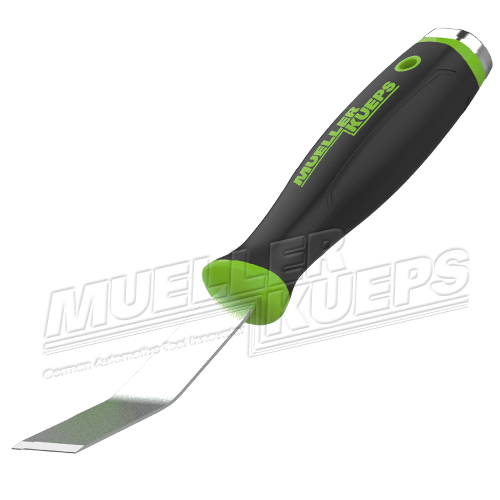 Tool is easy to resharpen and has a 2 component handle with hammer head. Features a 30° bend. Universal daily use.